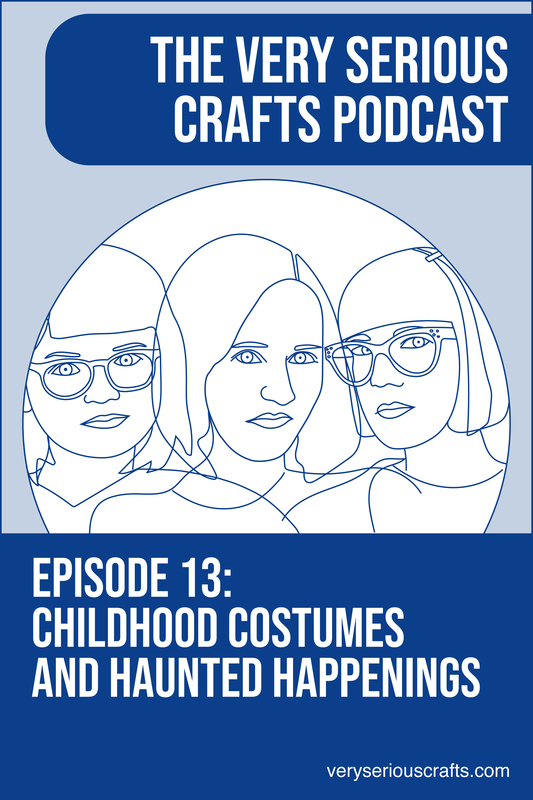 Hello, and welcome to The Very Serious Crafts Podcast, Season 1: Episode 13 – Childhood Costumes and Haunted Happenings! In this episode, the Very Serious Crafters were all ready to talk about their favorite Halloween costume memories, but then a doll in a hand-crocheted dress decided that she didn’t want to hear it. 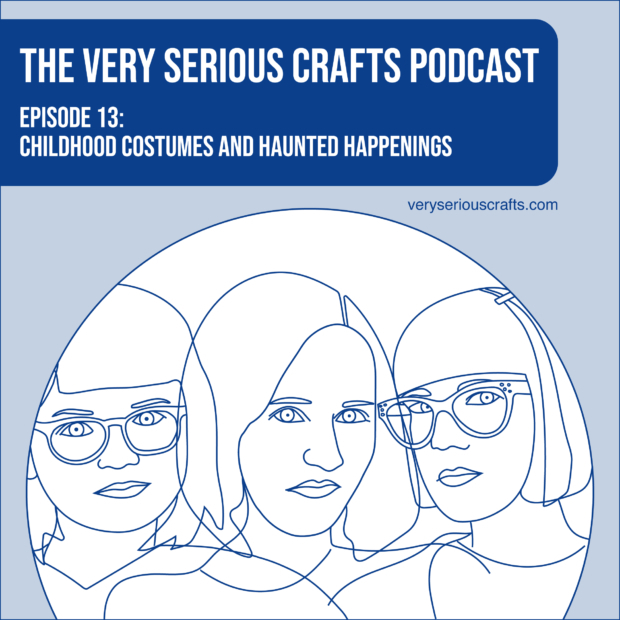 In the (very spooky) Very Serious Crafts Podcast, Season 1: Episode 13, Haley, Heidi, and Mollie discuss the handmade costumes of their youths, the actual scariest place to be during the Halloween season, and the possibility of podcast-related paranormal activity.